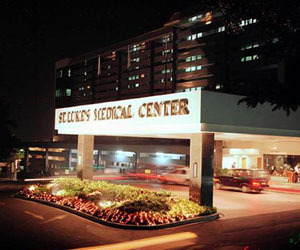 St. Luke’s Medical Center is the first JCI accredited hospital in the Philippines and the second in Asia. JCI is a subsidiary of the most prestigious and trusted name in accreditation – the Joint Commission on Accreditation of Healthcare Organizations (JCAHO). It is the oldest and largest healthcare accrediting body in the United States. JCAHO has developed standards that reflect high quality care and patient safety and evaluates the compliance of healthcare organizations against these standards. It is a prestigious organization respected for its reputation, experience, and credibility. 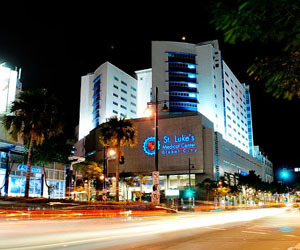 St. Luke’s Medical Center is also TEMOS certified. TEMOS is a neutral and independent certification body that supports medical facilities worldwide in their efforts to continuously work on quality improvement. Their quality programs focus on the demand and requirements of patients who wish to get medical treatment overseas (medical tourism) or need to get medical treatment abroad as business travellers, tourists or expatriates (tourism medicine). TEMOS aims to accomplish a maximal possible transparency, safety, satisfaction and therewith to provide a trustful basis for patients, nursing staff, doctors, and further involved parties like insurances for an optimized treatment abroad. St. Luke’s Medical Center is affiliated with New York-Presbyterian Hospital and Memorial Sloan-Kettering Medical Center, also with the medical schools of Columbia University College of Physicians and Surgeons and the Weill Cornell Medical College of Cornell University. St. Luke’s Medical Center was the first international affiliate of New York-Presbyterian Hospital and the first New York Presbyterian Healthcare System member accorded with the honor of being affiliated with both Ivy League medical schools.